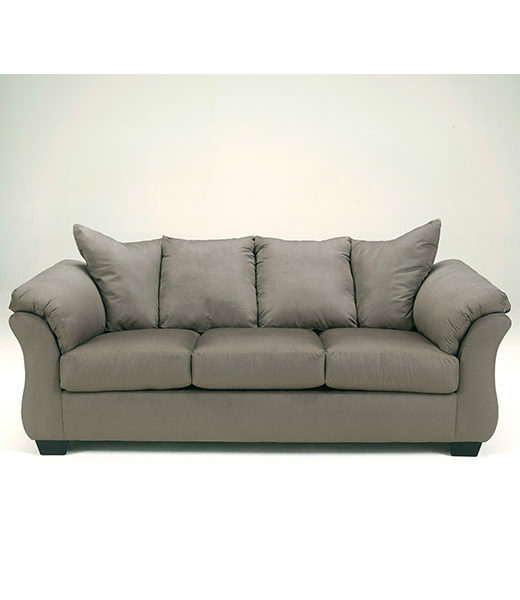 The Darcy Sofa in Cobblestone color. 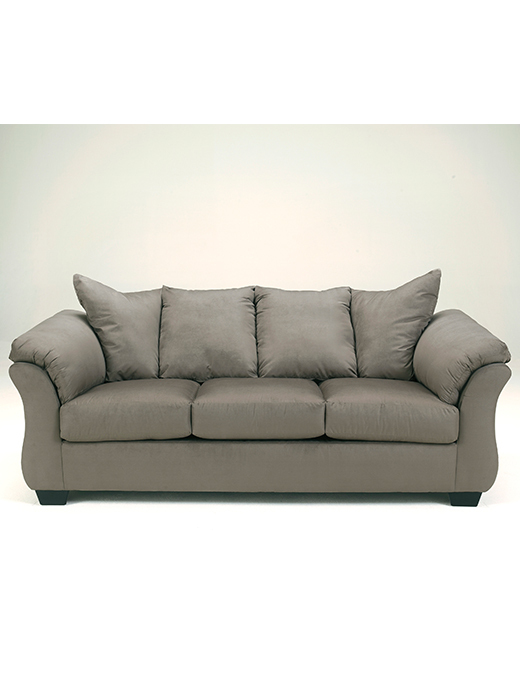 A contemporary design with soft pillow-top armrests. Super soft upholstery that holds up well. Frame constructions have been tested with various equipment to simulate the home and transportation environments to insure durability. Corners are glued, blocked and stapled. Seats and back spring rails are cut from 7/8” hardwood. Stripes and patterns are match cut. All fabrics are pre-approved for wearability and durability against AHFA standards. Cushion cores are constructed of low melt fiber wrapped over high-quality foam.